Focused on the future, informed by the past. Lou Washington has been involved in information management for over 40 years. During his career, he has held positions in product research and development, product management, system implementation, product security and information processing. His experience covers everything from hardcopy records management to digitized information systems maintained on mainframes, PCs, tablets and smartphones. In 1990, Lou joined Cincom, where he initially worked with mainframe-oriented products and systems. His role expanded to include product security, pricing, finance packaging and industry research. In 2005, Lou joined Cincom’s Manufacturing Business Solutions group and later Cincom’s Global Marketing Group. He is currently involved in blogging, industry research and content creation for Cincom. Lou is a regular contributor to Cincom’s corporate blog and other industry publications. 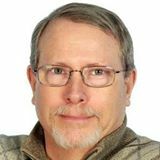 Lou publishes two daily news letters, the Manufacturing Spotlight and Guided Selling and CPQ Daily, as well as a personal blog distributed through LinkedIn. Cincom software helps organizations improve the way they do business, from product configuration and quoting to ERP and business management applications. In other words, we build solutions to overcome challenges in your most critical processes.